Neck pain is a common and costly problem in Western society. Nearly 60% of the population will experience neck pain at some point in their lives, and at any one time about 5% of the population has sufficient neck pain to cause disability. Neck pain is a common and costly problem in Western society. Nearly 60% of the population will experience neck pain at some point in their lives, and at any one time about 5% of the population has sufficient neck pain to cause disability. (See reference 1). The head is supported by the neck and upper back, and it is these areas that commonly cause neck pain. The top three joints in the neck allow for most movement of your neck and head. The lower joints in the neck and those of the upper back create a supportive structure for your head to sit on. The vast majority of neck pain occurrences are the result of benign musculoskeletal problems of the muscles, ligaments or joints. However, the pain can be caused by numerous other spinal or non-spinal problems. Determining the cause and structural source of neck pain is important for determining the appropriate treatment. For many people with neck pain, effective and timely treatment can shorten the recovery time and reduce the likelihood that the pain will come back. There are numerous treatment options available for the management of neck pain; however, no obvious single treatment modality has been shown to be the best. As such, patient preference plays a large role in determining which treatment option is appropriate (See reference 2). A 2010 review found that spine manipulation or mobilisation might provide immediate or short-term improvement in pain and function (See reference 3). Another study found that for people with acute and subacute neck pain, manipulation was more effective than medication in both the short and long term (See reference 4). A good medical physician will consider the research evidence and their patient’s individual preferences to help them recommend treatments for neck pain. However, medical physicians do have their own treatment for neck pain (medications) and will often recommend their treatment first. Engaging in physical activity within the limits of your pain is critical to a speedy recovery when done correctly. Specific stretching and strengthening, as recommended by your health care provider, can help to restore motion and strength to your neck and can be very helpful in relieving pain and preventing future episodes of neck pain (See reference 5). Acupuncture – Acupuncture can offer significant relief of neck pain (See reference 6). 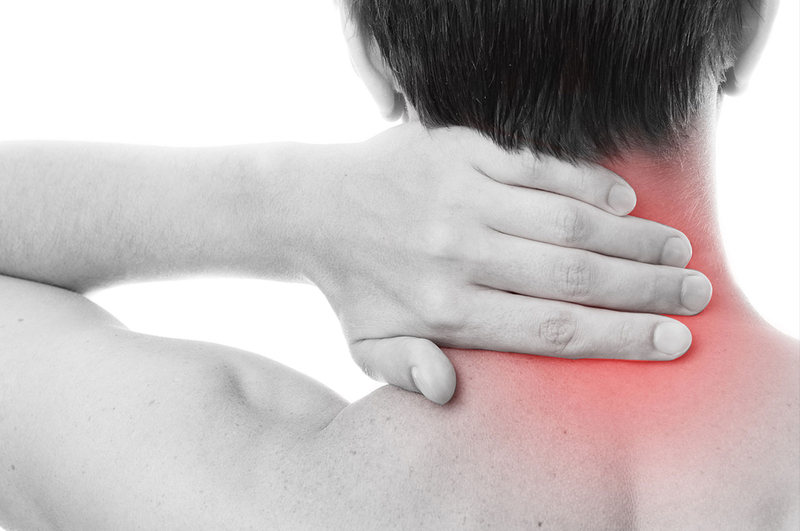 Massage Therapy – Massage therapy can offer significant relief of neck pain (See reference 7). Medication – While manual therapy and exercise have been shown to be superior to medications for most neck pain, there are some medications, such as analgesics or anti-inflammatory that may be useful for people with severe neck pain. Surgery – Surgery is sometimes necessary for some people; however, surgery and overtreatment should be avoided and used as a final resort. 1. Alexander EP. History, physical examination, and differential diagnosis of neck pain. Phys Med Rehabil Clin N Am. 2011 Aug;22(3):383-93, vii. 2. Plastaras CT, Schran S, Kim N, Sorosky S, Darr D, Chen MS, Lansky R. Complementary and alternative treatment for neck pain: chiropractic, acupuncture, TENS, massage, yoga, Tai Chi, and Feldenkrais. Phys Med Rehabil Clin N Am. 2011 Aug;22(3):521-37, ix. 3. Gross A, Miller J, D’Sylva J, Burnie SJ, Goldsmith CH, Graham N, et al. Manipulation or mobilisation for neck pain. Cochrane Database Syst Rev. 2010 Jan 20;(1):CD004249. 4. Bronfort G, Evans R, Anderson AV, Svendsen KH, Bracha Y, Grimm RH. Spinal manipulation, medication, or home exercise with advice for acute and subacute neck pain: a randomized trial. Ann Intern Med. 2012 Jan 3;156(1 Pt 1):1-10. 5. Miller J, Gross A, D’Sylva J, Burnie SJ, Goldsmith CH, Graham N, et al. Manual therapy and exercise for neck pain: A systematic review. Man Ther. 2010 Aug;15(4):334-54. 6. Kelly RB. Acupuncture for pain. Am Fam Physician. 2009 Sep 1;80(5):481-4. 7. Sherman KJ, Cherkin DC, Hawkes RJ, Miglioretti DL, Deyo RA. Randomized trial of therapeutic massage for chronic neck pain. Clin J Pain. 2009 Mar-Apr;25(3):233-8.